Evidently, the lives and safety of bike riders don’t matter when wealthy homeowners raise their voices in opposition. At least, that the message CD5 Councilmember Paul Koretz seems to be sending. According to LA Streetsblog, Koretz has come out in opposition to bike lanes in any form on Westwood Blvd between National and Santa Monica Boulevards — despite an earlier promise to study the feasibility of such lanes, which is currently ongoing. Evidently, he doesn’t want any facts to get in the way of making up his mind. As Damien Newton, author of the Streetsblog story points out, any kind of bike lane on that section of Westwood has been adamantly opposed by a small group of local homeowners represented by the Westwood South of Santa Monica Homeowner’s Group, as well as business owners along the boulevard who fear a loss of parking spaces. It is wildly unlikely that the city will move forward with a bicycle lane project without at least tacit support from the Council office, which is bowing to pressure from homeowner groups that have been hostile to transportation options outside of the automobile…. Local opposition to the lane publicly centered around an LADOT study of a bus lane (bikes allowed) which would have removed travel lanes and parking. That plan was DOA. Instead, the Los Angeles County Bicycle Coalition proposed a “floating” bicycle lane where the parked-car adjacent bike lane would be moved to the curb during rush hour so that the road could continue to have a peak hour lane. After the public meeting, the LADOT began a study of the floating bike lane (which they had only briefly introduced as an “idea” at the public hearing), but that was put on hold by the Councilmember. It should be noted that the floating bike lane would not have resulted in the loss of a single traffic lane or parking space; the greatest handicap anyone would face would be crossing the street from one side to the other as the parking lane flipped sides. Now, the floating bike lane plan has been rejected by the Councilmember before he has allowed the formal study to be was completed. In response, today, the LACBC released an action alert calling on Koretz to move forward with a full study of the lanes that includes all stakeholders. In that alert, the Bike Coalition calls attention to the councilmember’s broken promise. 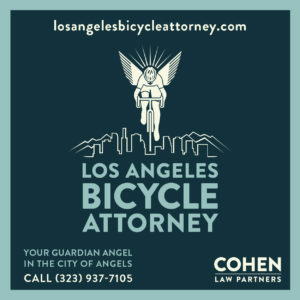 Koretz opposition also flies in the face of support for the lanes from his own appointee to the city’s Bicycle Advisory Committee, CD5 representative Jonathan Weiss, as quoted by Streetsblog. Weiss argues that the road width is actually wide enough to put in lanes without removing parking or mixed-use lanes if lanes are narrowed. It’s short notice, I know. 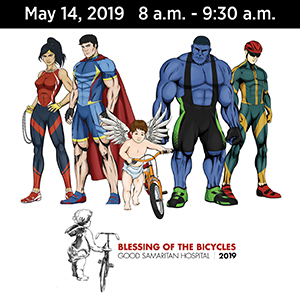 But the LACBC is calling on everyone who rides Westwood — or would like to — to attend a meeting this evening to discuss the next steps in light of Koretz firmly planting a knife in the back of the Westside cycling community. 337 Charles E. Young Dr. East (near Wyton and Hilgard). 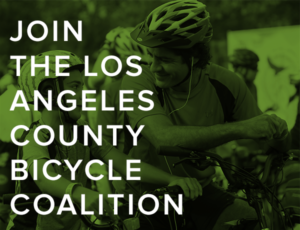 If you can’t make the meeting — or even if you can — the coalition asks that you email Koretz’ office to demand he reconsider bike lanes on Westwood Blvd. Westwood Boulevard is currently one of the most popular routes for people riding bikes in your district. It is also one of the least safe. You’ve said before that, “I do not vote for things that kill people.” I hope that you’ll at least study how to fix a dangerous situation that has already killed and will likely again if it is not improved. As a community leader, it’s your responsibility to convene people with differing views, seek out accurate information and make informed decisions that respect all stakeholders. I ask that you take this commitment seriously by studying alternatives for bike lanes along Westwood Boulevard and hosting an open and inclusive process to discuss the merits of the project. And while you’re at it, you might remind him of his own support for bicycling, as he stated right here when he was first running for office. When I was the Mayor of West Hollywood, I requested input from the bicycle community on how to implement bike lanes on part of Santa Monica Boulevard. I think Los Angeles needs to adopt a regional public transportation approach that not only addresses improving traffic flow, and mass transit, but also how we can improve options and the quality of life for bicyclists. In general, we need to focus on the creation of an effective bicycle infrastructure. 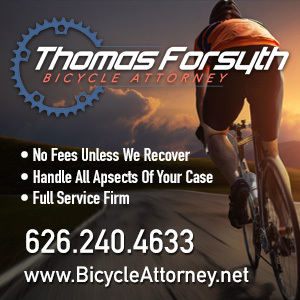 Los Angeles, with over 330 sunny days a year, should be the world leader in bicycle commuting. We need to start the work of building many more miles of safe bikeways and adequate secure parking for commuters. These two steps will be a good beginning in our efforts to alleviate congestion and improve traffic flow. Odd that someone who fought for bike lanes on the even more congested Santa Monica Blvd through West Hollywood would oppose them on Westwood. Or was he just saying what he thought we wanted to hear to win an election?